Part of the ancient mystery of the makeup of the modern canine has been solved by a team led by researchers at the University of California, Davis, School of Veterinary Medicine and evolutionary geneticist Erik Axelsson of Uppsala University and his colleagues in Sweden. The study published in Nature by Erik Axelsson (et. al.) analyzed genes related to starch digestion in domesticated canines and their ancestors, wild wolves. The research hypothesized that when humans transitioned from a nomadic hunter-gatherer lifestyle to settled farming communities, wolves gave up their meat-only diets to scavenge convenient, carbohydrate-rich food from human scrap piles. Animals that could best make use of the new starchy food source developed an evolutionary advantage and gradually morphed over many generations into man’s best friend. The Swedish study focused on genetic differences between 60 dogs representing 14 breeds and 12 wolves from around the world. 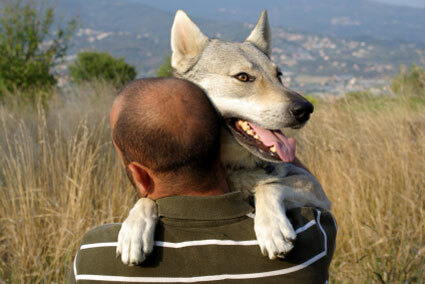 Those changes, the researchers reasoned, could identify genes that were important in separating dogs from wolves. The researchers determined the genetic makeup of groups of dogs and compared the results to those from wolves, concentrating on parts of the genetic instruction book that differ between the two species. The search revealed substantial numbers of genes involved in starch digestion and metabolism, and in the utilization of fats. The team also found that, compared to wolves, canines have more copies of a gene that produces an enzyme that breaks starch into easily digestible sugars. Other genetic variants seem to contribute to dogs’ increased ability to convert a sugar called maltose to glucose, the sugar that cells prefer to burn for energy, and yet other genetic changes improve dogs’ ability to move glucose into their cells. Combined, the mutations alter dogs’ metabolism so they can get more energy out of a carbohydrate-rich diet than wolves can, and the scientists confirmed the effect of the genetic variants by identifying biochemical differences in starch metabolism in blood and tissue samples from dogs and wolves, showing that in comparison to wolves, dogs have a profound adaption to utilize carbohydrates. In addition to the Swedish study, a research group from the Canid Diversity and Conservation Group in the Veterinary Genetics Laboratory at the UC Davis School traced back when dogs developed distinct starch-digestion genetic mutations. Several thousand years after dogs originated in the Middle East and Europe, some of them moved south with ancient farmers. 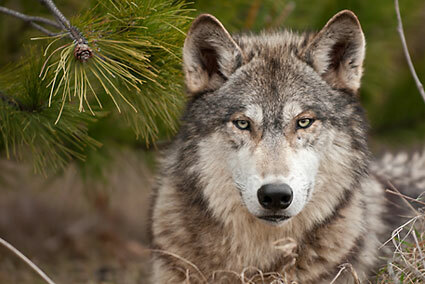 Now separated by vast distances from native wolf populations, these early companion animals developed a distinct genetic profile, now reflected in today’s canines. To calculate when this happened, the researchers calculated the mutation rate of genetic markers on the Y chromosome in a sample of 100 Australian dingoes, a dog population known to have appeared about 4,200 years ago. Knowing the rate at which these genetic mutations occur, the researchers were able to backtrack through history and estimate the point when wolves and dogs diverted paths at roughly 7,000 years ago. These findings, based on the rate of genetic marker mutations in the dog’s Y chromosome, supply the missing piece of the puzzle as to when ancient dogs ventured beyond Southeast Asia. The study results are published in the Journal of Molecular Biology and Evolution. Both studies fit together nicely, and confirm what I have always strongly suspected: dogs are not wolves. Plus, now I know that there is an evolutionary explanation for why my dog Otto was always so jealous of my breakfast pastries! Fascinating and once again you look at the reality of what canines need in their diet versus the assumptions that seem to rule the pet market! Thanks for the clarification and validation of the science behind our domesticated dogs' diets. Thank you for the information, trying to learn as much as I can as my baby is suffering from allergies.